I am always asked how I do a double shower curtain & liner, so I thought I would do a complete step by step tutorial of my latest one. 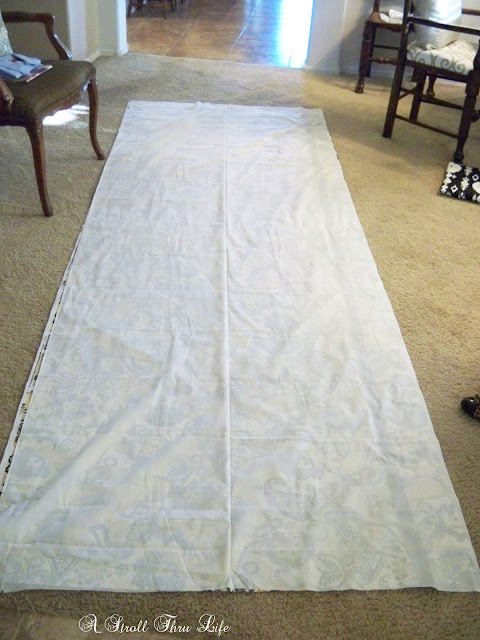 I have 9 ft. ceilings, so I first cut my fabric to the desired length. I like for mine to go all the way to the ceiling, so I use that length plus 7 inches for the top and 7 inches for the bottom hems. I lay it out on the living room floor since that is the only open space I have big enough. 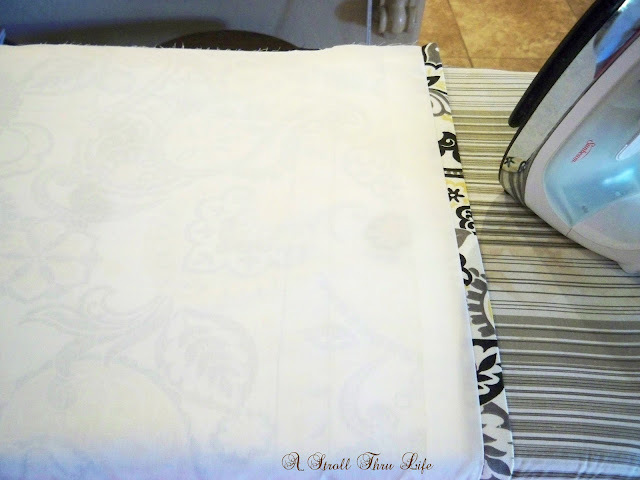 After it was cut to size I wanted to add some decor to the curtain, so I added a 2 inch grosgrain ribbon down one side. I sewed it 4 inches in from the side. Sinced this is for a bathroom, I've used indoor-outdoor fabric for both the face fabric and the lining. 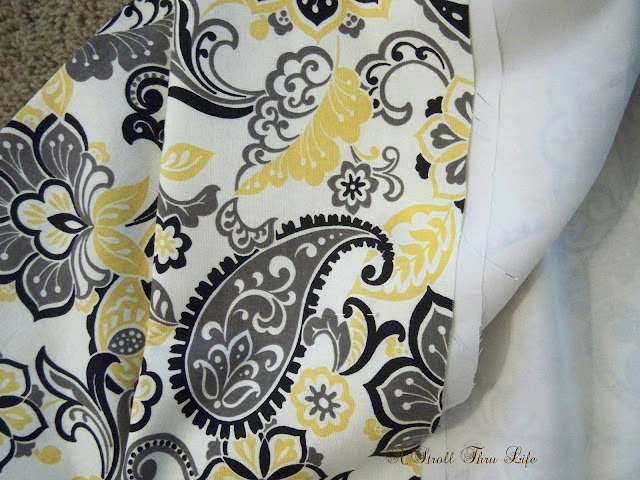 I lay the lining on top of the face fabric and cut to size, then I trim off 2 inches on the side length of the fabric so I will have a return on the finished curtain. Sew the two fabrics together down both sides. Press so you have a nice sharp edge on the returns. 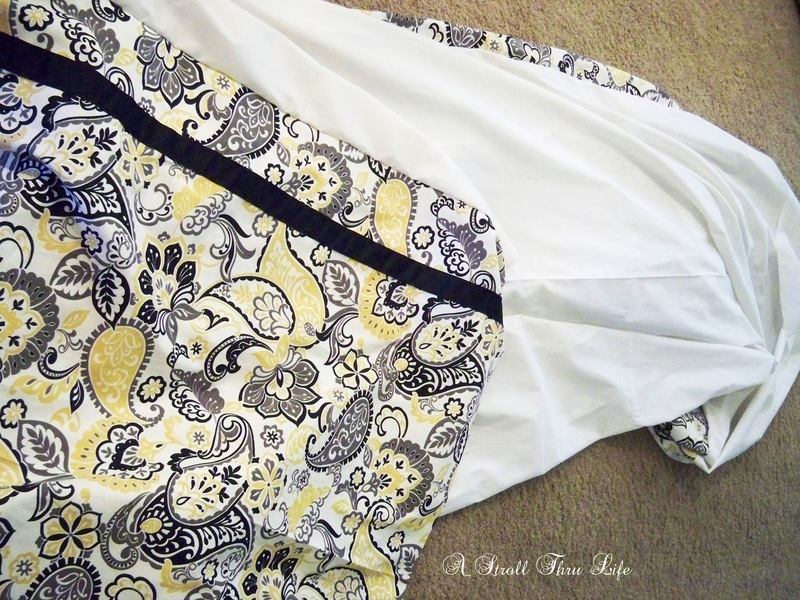 Turn under 1/2 inch and stitch across the entire top. 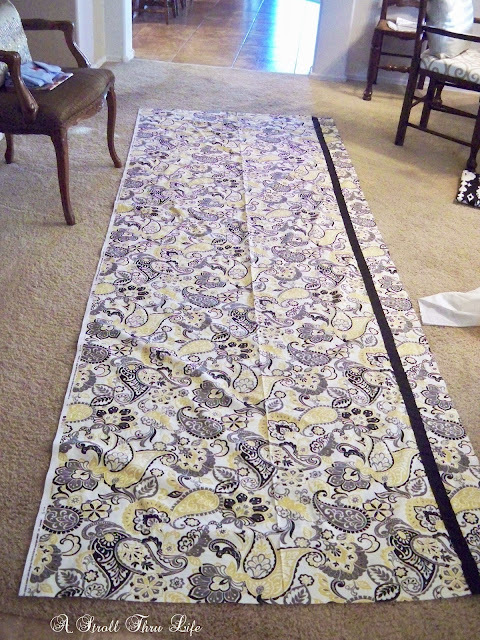 Now sew another line through the middle of this. That will give you a 3 inch header and 3 1/2 inch rod pocket. Now you need two tension rods. 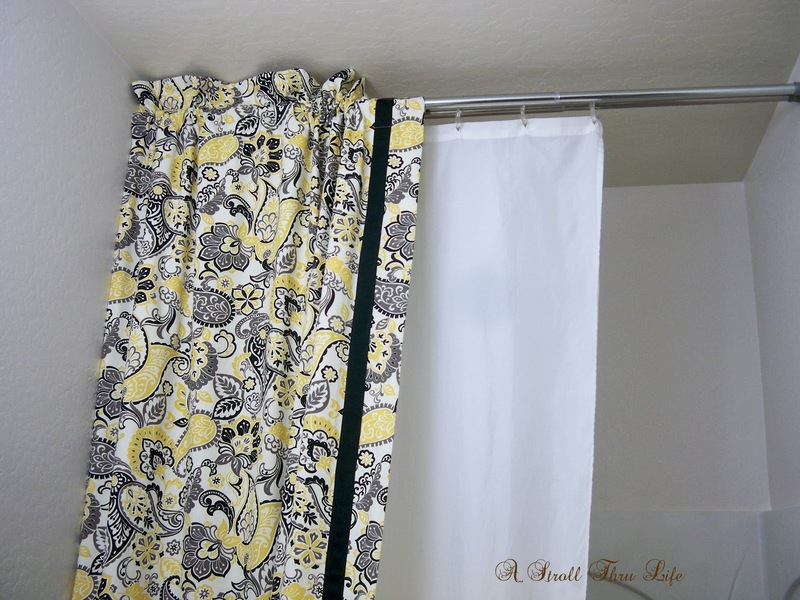 One to hang the shower liner on and one for the outer curtain. You can buy extra long shower liners on line. I always use the nylon kind so I can wash them often to keep them fresh. This is what it looks like from inside the tub. Arrange your gathers and tie the drape back with a pretty tassel. The tassel is fastened to the wall with a large cup hook. 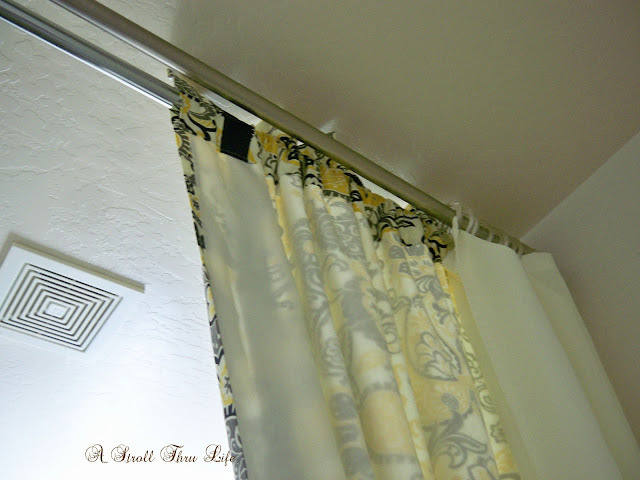 The shower liner is pushed back against the side and hides behind the curtain. 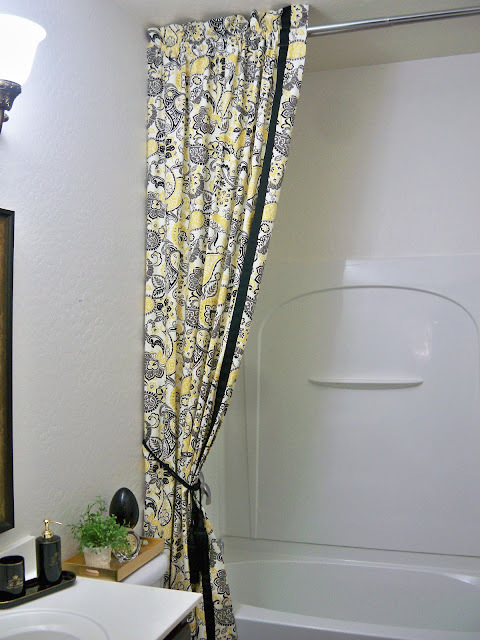 The rods are seperated approximately 1 inch apart so the shower liner can easily be pulled across the tub when needed. 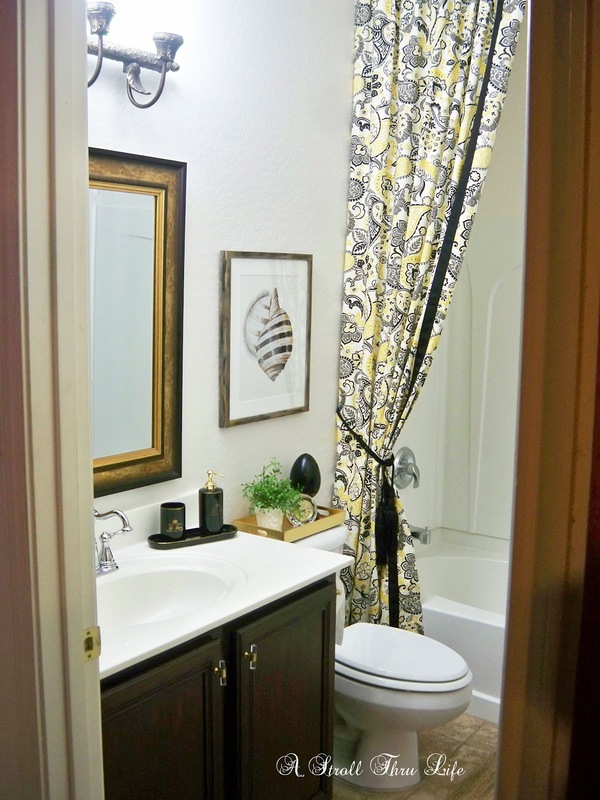 This makes a pretty decorative addition to any bathroom. By using indoor-outdoor fabric it stays fresh and any moisture doesn't hurt it. 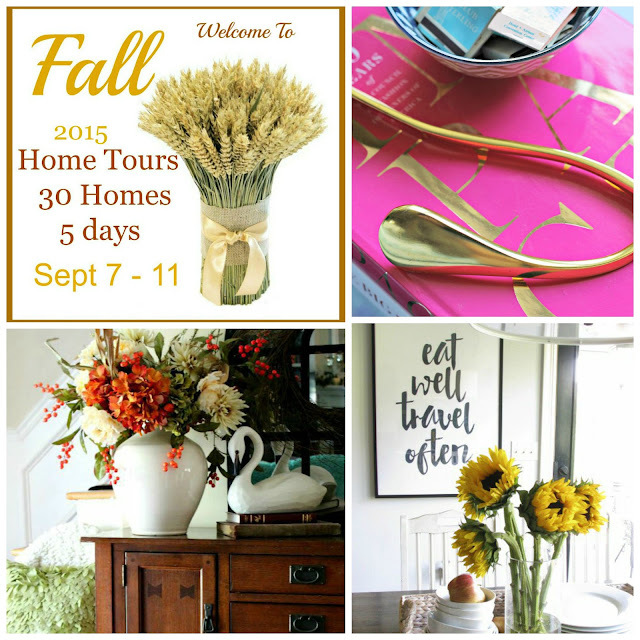 Don't forget to mark your calendars - 30 of your favorite bloggers share their homes dressed for fall. There will be tons of eye-candy and inspiration, so don't miss out. I would love to have you follow me on any of the following. What a wonderfully inclusive tutorial. Great fabric. 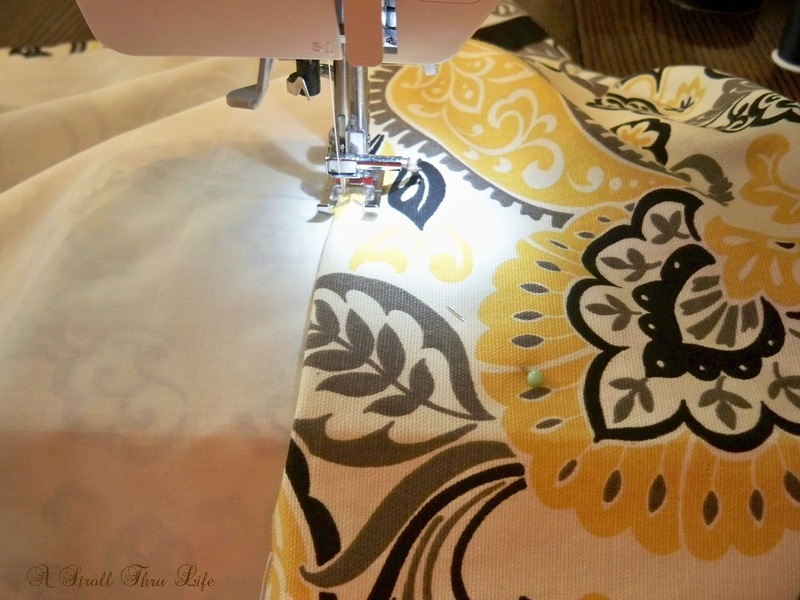 Pattern choices in indoor/outdoor fabric have greatly improved. Marty this is genius. Such a great way to have your pretty shower curtain custom. Love that fabric choice. Sooooo pretty. Hi Marty! Oh, how lovely your shower curtain is. 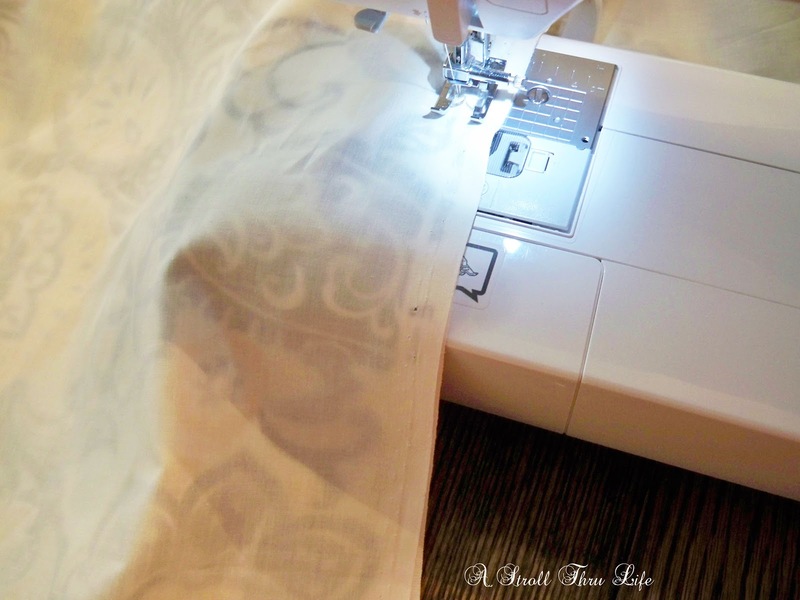 Thank you for the tutorial and I would never have thought of indoor/outdoor fabric but it makes so much sense! 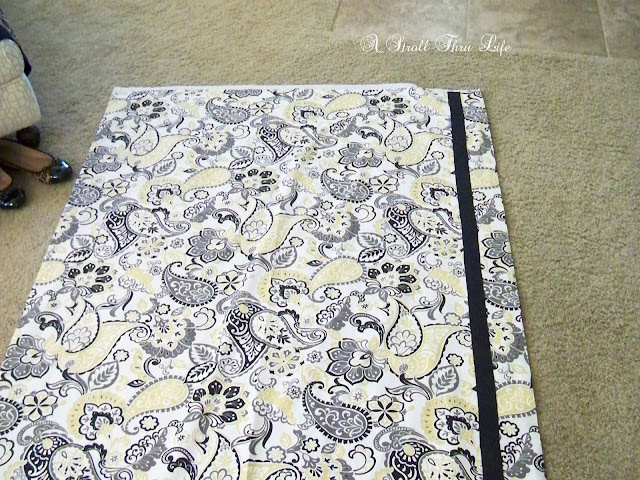 ;) That fabric is so pretty too! Thanks for popping in to see me and hope you're doing well. It turned out so very pretty. I too am pleased with your fabric and art choice. The shower curtain hands so~o~o nicely, dear friend!!! Such a great idea! Think I may attempt sewing a floor to ceiling length curtain for our guest bathroom. 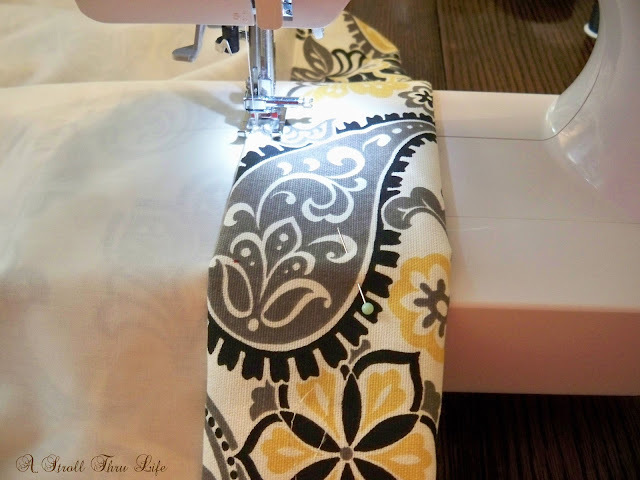 Great idea with the indoor / outdoor fabric! How wide is it?? I assume it is just one "panel" in width? Love the look. That's why it looks so perfect! Beautiful, Marty. I love the fabric you used, and how smart to use the indoor/outdoor fabric. 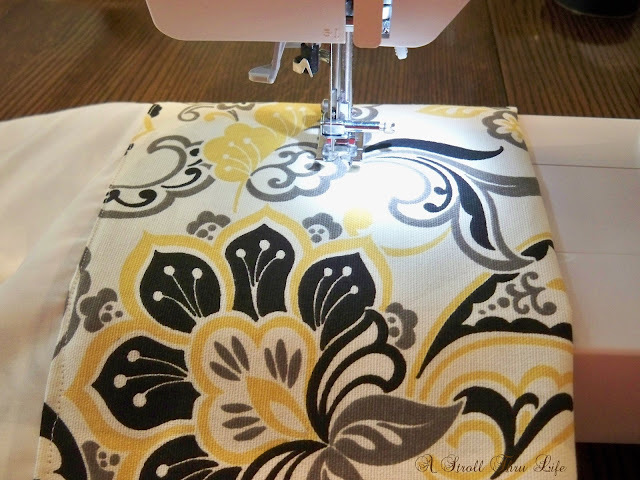 Love this tutorial- so practical and smart. Great job as always, Marty!